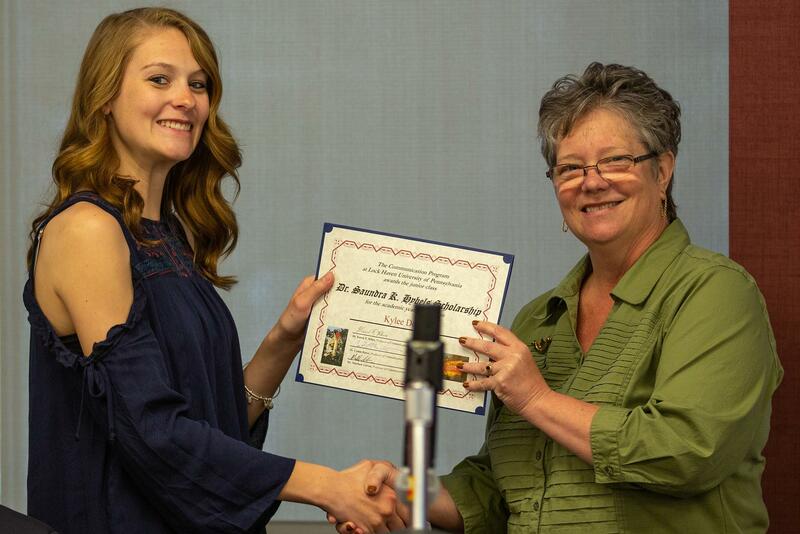 On Friday, May 4, the Lock Haven University communication program held the annual Rebecca Gross Day awards, celebrating excellence among current students, alumni, and respected media practitioners. 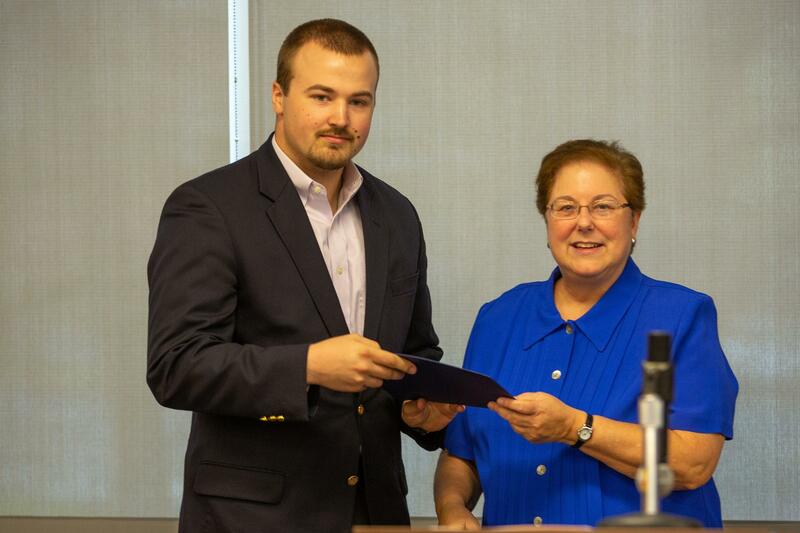 The Rebecca Gross Journalism Award was presented to Brandon Clements, a communication senior in the advertising and public relation track. The student must have a 3.0 grade point average and service in other campus or off-campus activities including volunteer work and paid work related to journalism or mass communication. Clements has served as the executive producer for Havenscope, the student television group, for four years. He was a mentor to other communication students for three years and a member of the LHU football team for four years. He is a member of Lambda Phi Eta, the national communication honor society. He also completed two internships in public relations and marketing and will be entering the management trainee program with Weis Markets following graduation. 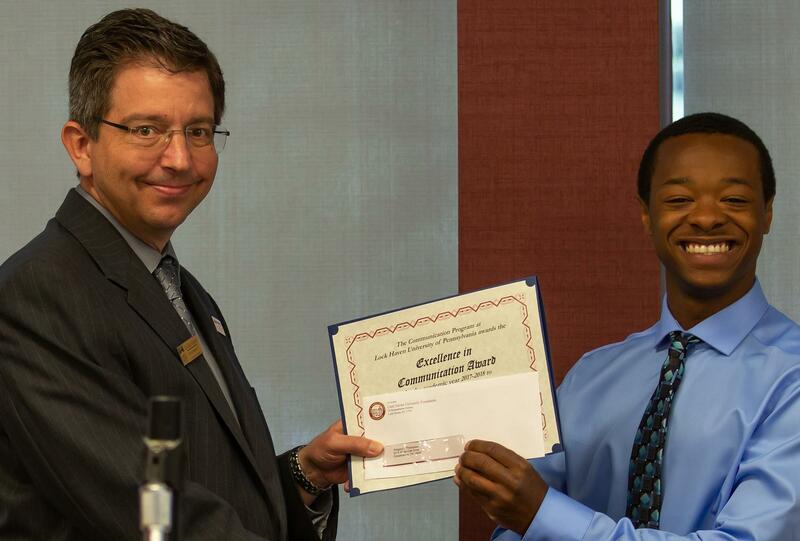 “Brandon is an excellent example of what a student in our program can accomplish who has talent, a strong work ethic, and a positive attitude toward learning and growing professionally,” said Dr. Karen Kline, LHU Department of Communication and Philosophy chair, before presenting Clements with his award. The Excellence in Communication Award was presented to Gregory Thompson. The award is given to a non-media communication senior with the highest grade point average. Thompson will be working as a management trainee at Weis Markets this summer and plans to travel and eventually find employment in the marketing field. 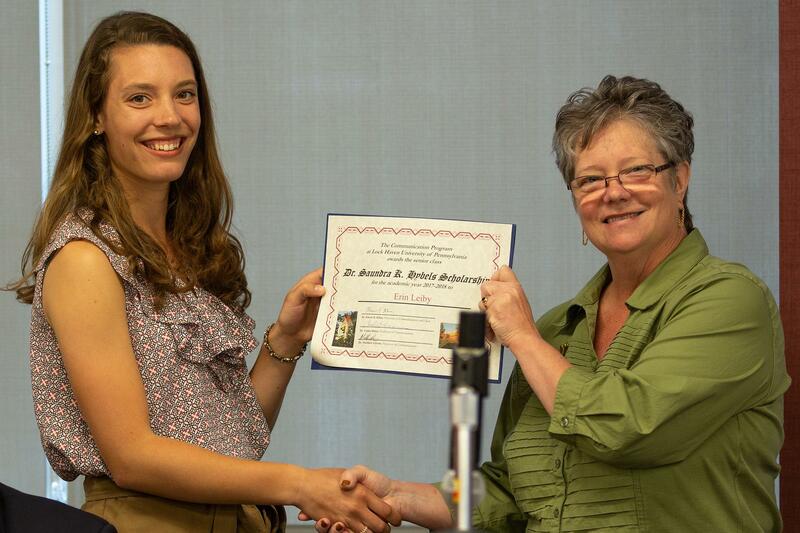 The Margaret Ann Brown Memorial Scholarship was presented to Lisa Hallock. 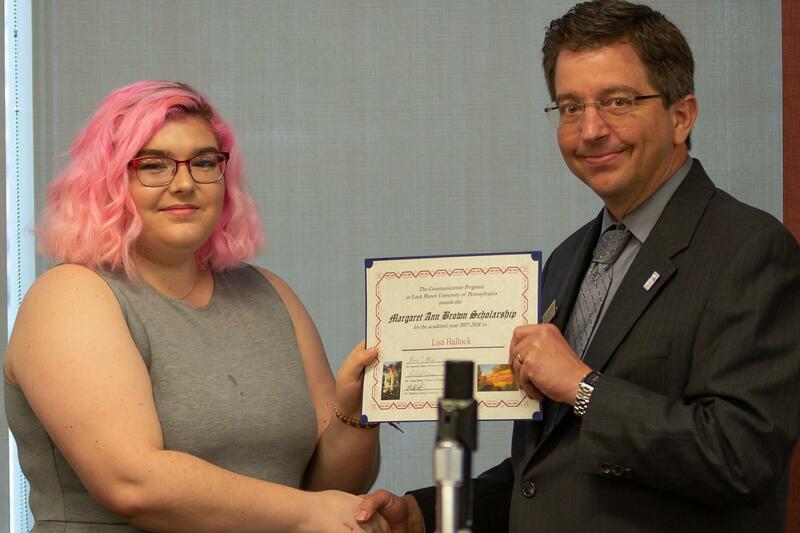 The scholarship is presented to the student who completes at least 72 but not more than 104 credit hours, 12 credit hours of specific LHU courses, and attains the highest grade point average of communication or communication media majors. The Dr. Saundra K. Hybels Memorial Scholarship was presented to Kylee Doyle, junior award, and Erin Leiby, senior award. The recipients must excel in the field of journalism and mass communication, demonstrate financial need and have a minimum grade point average of 2.5. The students also must write an essay to be considered for the scholarship. In Leiby’s essay, she described herself as “an active leader in the public relations and advertising field.” She is a past president of the Public Relations Club, completed an internship with Geisinger Corporate Communications, and aspires to work in the health field. 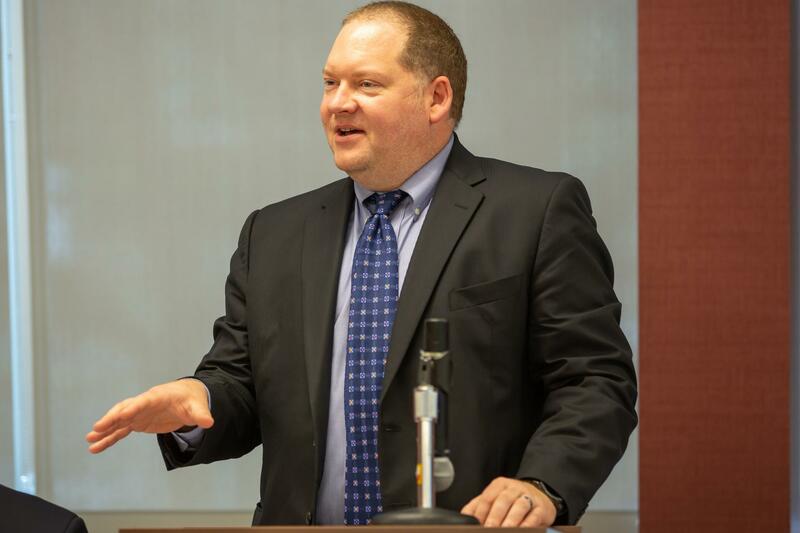 In addition to the student awards, Jason Wildenstein ’96, was presented with the Outstanding Communication Graduate Award and served as a speaker during the ceremony. Wildenstein is the vice president and general manager of WTXL-TV in Tallahassee, Florida. Wildenstein spoke to the attendees about his career experiences and reminded the students that they need to face challenges to achieve their career goals. “Love what you do. Be able to take risks. Be courageous in what you do and you’ll be successful,” he said.